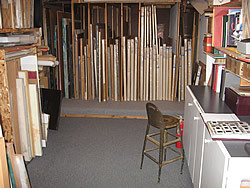 The task of organizing and record keeping for artists and collectors can be daunting. . . moving from the right brain creative wonderland to the left brain world of cataloguing and storage. 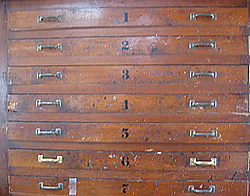 We can help you with simple techniques and storage tips for collections of any shape or size. We tailor a simple version of Filemaker Pro to meet your needs so that your can store and update your information on your computer. The final result will be a clean and easy system to identify all of the pieces in your collection that also gives you easy access to information to create reports for insurance or tax purposes.